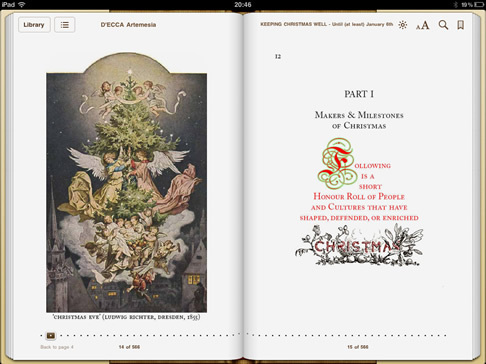 A lively and authoritative Question-and-Answer Guide, with everything you need to know about the Season of Christmas, in Hardback and in eBook, each richly illustrated with more than 700 images. "…Charming, with illustrations galore… A good guide to the festive season, raising a few laughs and managing to evoke some old-fashioned nostalgia for a time of year swamped by commercialism. "—Books Ireland, 2012. 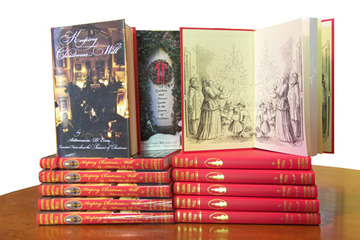 "… very entertaining both in its array of miscellaneous facts about the season of the Nativity, and in its wide array of illustrations, many drawing on the rich traditions left us by the Victorians. 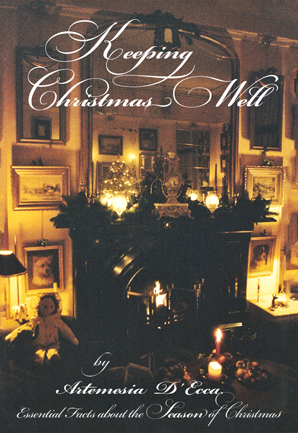 The aim of the author is to entertain and to enlighten in a gentle way—and she achieves both, making this a Christmas present which will amuse for years to come." —Peter Costello, Author & Books Editor I.C. Journal, 2011. "…a very attractive seasonable title…"—Books Ireland, 2011. The forgotten Seasons of Christmas—the 40 days, the 20 days, the 12 (or is it 13?) days. What is a “day” at Christmas ? Christmas and the Industrial Revolution—the force that almost killed it. Christmas and Religion—when and where was Christmas banned? Christmas food—Boar's head, Brawn, Plum pudding, etc. Christmas drink—from Wassail to the Tom and Jerry. Who really wrote “The Night Before Christmas”, and when ? When and why did we start celebrating Christmas Day on the 25th of December ? 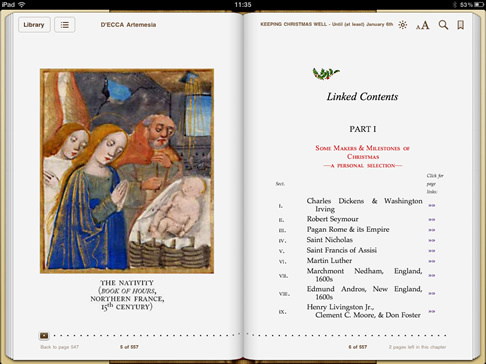 All versions are richly illustrated, containing over 700 images, and the ePub extends to more than 550 eBook pages. printed endpapers, ribbon, head+tail bands. 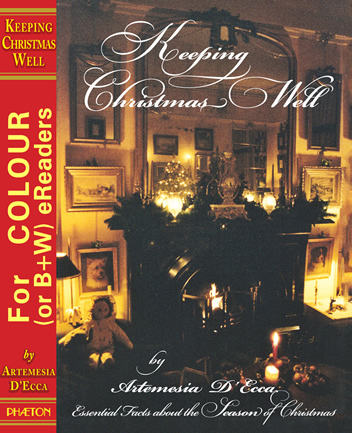 more than 700 illustrations, of which over 275 are in colour (and 425 in original black-and-white). The illustrated eBook can be downloaded to any eReader, either in ePub format or in Kindle-format (via Amazon.com or other Amazon websites). It is designed and sized to suit any older eReaders (such as original Kindle and iPad) as well as the newer eReaders (such as Kindle-Fire or iPad-mini) and SmartPhones, or can be read on PC or on MAC eReaders.